You know when you find a pair of shoes so fabulous that your life is never really quite the same? I’m not just talking your regular pair of sneakers that you slip on to run errands in. I’m talking about those shoes that come around once or twice in a lifetime. You know, those shoes that are so comfortable, and so cool looking, that they become almost like a second skin. The Terra Plana Vivo Barefoot shoe is exactly what I’m talking about here. They’re incredibly comfortable, incredibly cool, and best of all, incredibly green. Keep reading to find out why these shoes are so amazing, and how, as a reader of The Greenest Dollar, you can get 20% off a pair for your very own. Let me start with this: you’ve never felt shoes like these before. I know that sounds dramatic, and before I tried these on myself I probably would have rolled my eyes too. After all, shoes are shoes, right? Well, these aren’t just any shoes. The Terra Plana Vivo Barefoot shoes are unique because wearing them is just like walking barefoot. You don’t feel like you’re wearing a regular shoe at all. They’re completely different. The Vivo Barefoot shoes feel like a part of your foot, not like your foot is covered up by a shoe. There’s no arch, and nothing that molds your foot to fit the shoe. Instead, your foot spreads out naturally when you walk, just like it does when you’re barefoot. 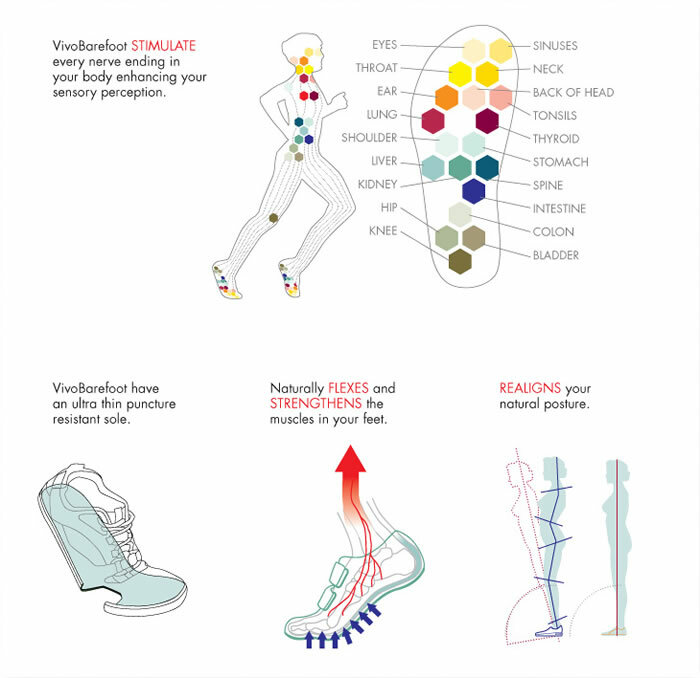 The reason why Terra Plana made a shoe to simulate barefoot walking is because of the health benefits. Human beings are meant to walk barefoot. And, walking barefoot realigns our natural posture. And because the sole is so thin, you can really feel the ground beneath your feet. You can feel bricks, and stones, and pavement cracks. And because you can feel these things, you’re less likely to trip. It’s really amazing. 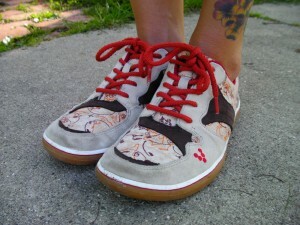 Terra Plana uses recycled elements in all of their shoes, which I think is awesome. There are recycled elements in every Terra Plana shoe, whether it’s the sole, upper, or the trim. Recycled PET bottles for mesh, recycled rice husks for soling materials, recycled leather and recycled foam for footbeds. This company is also the winner of the Observer Ethical Fashion award, and recently picked up an award from Drapers for Ethical Retailer of the Year. There is an extensive list of eco friendly practices that Terra Plana uses in the creation of their shoes. Their use of glue in every shoe is minimal because of the fumes and other environmental impacts. They use stitching everywhere they can, and they’re working with their factories to start using water based adhesives where glue must be used. When possible, they source materials locally to cut down on transportation needs. Some of their shoes use old coats and parachutes for the fabric. Their leather is vegetable tanned instead of chrome tanned, which is better for the environment. And, there’s much more on the list. So, you can wear these shoes with a good conscience. I know I probably sound like a PR rep here, but the truth is that I just seriously love these shoes. I have a pair of Earth shoes, and up until I got these I thought those were my favorite. But the Terra Plana Vivo Barefoot shoe wins over my Earth shoes hands down. Well, I said this before, but these shoes don’t feel like shoes. They really are like walking barefoot, and I love being able to feel the ground under my feet. I feel light and fast in these shoes. I’ve also read that several athletes run in these shoes, and I’m definitely going to try that next. I can only imagine how freeing it must feel to run as if nothing is on your feet. I’ve had them for two weeks now, and I’ve barely taken them off (which is why they look a bit scruffy in the pictures). Want A Pair? Here’s A Terra Plana Coupon! Terra Plana has graciously agreed to give readers of The Greenest Dollar a coupon code for 20% off, until June 15. If you want to try these amazing shoes out, now’s the time! And, it’s only for the Vivo Barefoot line. Again, this coupon code is good until June 15, 2009. Want to go take a look? Click here to get to the Terra Plana Vivo Barefoot site. It also discusses the Nike Free and the Vibram Five-Fingers shoes. Thanks for the coupon! I can’t wait to use it. And have fun with the Barefoots! They’re truly amazing. I think I might be hooked for life. Thanks for sharing! I’d like to try these out. I know; I’m really afraid I might be hooked for life on these shoes. I’m tempted to use my own coupon and buy another pair! When I put my other shoes on now, I’m just not as happy. The Vivo Barefoot shoes are just so completely liberating! Also, I took them out dancing at the Detroit Electronic Music Festival this weekend. And, the VBs are great for dancing! These shoes are not for everyone, ecspecially if you have a high arch. I bought, wore a pair for a month and developed a painful heel spur. It got to the point that I went to the doctor and now have plantar fasciitis. I am recovering in some super supportive running shoes. Do you wear socks with any of your Vivos?? @Jonathan- Sometimes I do and sometimes I don’t. Usually I don’t in the summer. It’s divine to walk in these shoes without socks! Have you seen the latest Terra Plana review I did, on the Dundan boot? Here’s the link, if you’re interested. There’s also a 20% off coupon until the end of November! 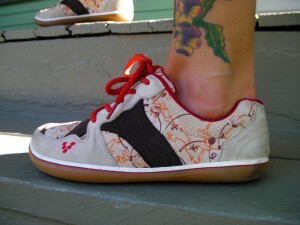 We at Urban Sherp are huge fans of Terra Plana, great quality, great comfort and great style. Today we are giving away a pair of the kitten heel Doll shoes – enter for your chance to win!! Terrible customer service when trying to return a pair of shoes to Terra Plana NY via online. Will not deal with them again because of this. Adam, I’m so sorry you had a bad experience with them! I’ve had to return two pair since I wrote this review (for sizing issues…one pair just last week!) and haven’t had any problems. But maybe they were having an off day? I’m having a bad customer service experience too. Bought a pair of Aqua’s that separated at the seam around the top of the heel after 2.5 weeks. They refused to exchange and told me it was “wear and tear” but offered to fix them if I sent them in (shipping at my expense). After 3 weeks, I received the “repaired” shoes, only they hadn’t been repaired. The seams are still falling apart. I’m not happy at having paid $150 for a pair of shoes that falls apart after a couple weeks! An update on my customer service issue…after the failed repair, Terra Plana agreed the stitching wasn’t up to snuff and are sending a new pair. I’m happy because I do love the shoes!